Baltimore County Police are asking for the public’s help in solving the murder of Joann “Jody” LeCornu. 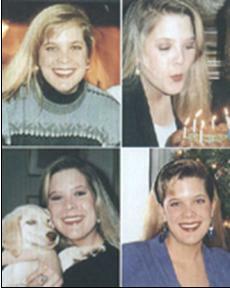 She was shot while sitting her in white Honda Civic in the parking lot of 6400 York Road at 3:30 a.m. on March 2, 1996. She then drove across York Road, where she died. The suspect is described as a black male, stocky build, wearing an olive green jacket. The suspect was driving a white BMW at the time of the murder. Detectives are asking anyone with information to call or text Metro Crime Stoppers.